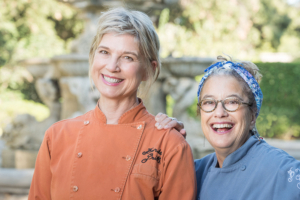 The Julia Child Award, now in its fourth year, is presented to an individual (or team!) who has made a profound and significant difference in the way America cooks, eats and drinks. The 5th Annual Food History Gala will take place Thursday, November 7 at the Smithsonian’s National Museum of American History. 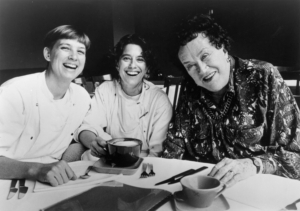 Stay tuned for more details on this special event to celebrate this year’s recipient and the 5th anniversary of the Julia Child Award. Visit the Foundation’s Facebook page for videos from this year’s Gala at the Smithsonian’s National Museum of American History, including speeches by Traci Des Jardins, Barbara Fairchild, Kajsa Aljer, Bobby Flay, and honorees Mary Sue Milliken and Susan Feniger.